Internet and multimedia have revolutionized the field of Higher education. The use of ICT in education lends itself to more student centred learning setting. ICT can contribute to universal access to education, equity in education, the delivery of quality teaching and learning, teachers professional development and more efficient education management better governance and administration. It can help strengthen democratic and transparent education planning and management. Making administration more transparent and creating better learning eco-system. The objective of ICT is to build information sharing and comprises all aspects of computing and networking technologies, create internet usage policies, providing cyber security. ICT helps users in selection, creation, application, integration and administration of computing and networking technologies. Able to absorb new developments in technology and assess the needs of the organization from such advances in a proactive manner. The objective of ICT is to allow organization to reduce transaction and implementation costs. To improve service delivery in the University, to increase the level of automation in the University by 1% annually through enhancing University ICT resources. ICT implements and supports information systems and applications that support the academic and administrative processes of the University. It also provides access to ICT resources, supports and maintains ICT facilities. ICT in academic and administrative processes of the University – Efficient utilization of existing resources and simplifies the administration tasks (e.g. in student administration, staff administration, general administration etc.,) by reducing the paper work and replaces the manual maintenance of record keeping to electronic maintenance of records which helps in easy retrieval. Provides resources for Teaching and Learning- Teaching and learning can further be improved by replacing of conventional teaching instead of the usual age old method of chalk and talk for teaching by innovative methods like power point presentations and animations, modelling and simulations, video clips and using AV aids, LCD projectors etc., This enhances the learning ability of the student and also helps the teacher to elaborate the difficult concepts effectively within a short time span. Supports and maintains ICT Facilities- Maintains existing hardware, software and the IT infrastructure. Support for users and troubleshooting of commercial software packages. Upkeep and maintenance of the hardware installed. Facilitating network connectivity and troubleshooting network issues. 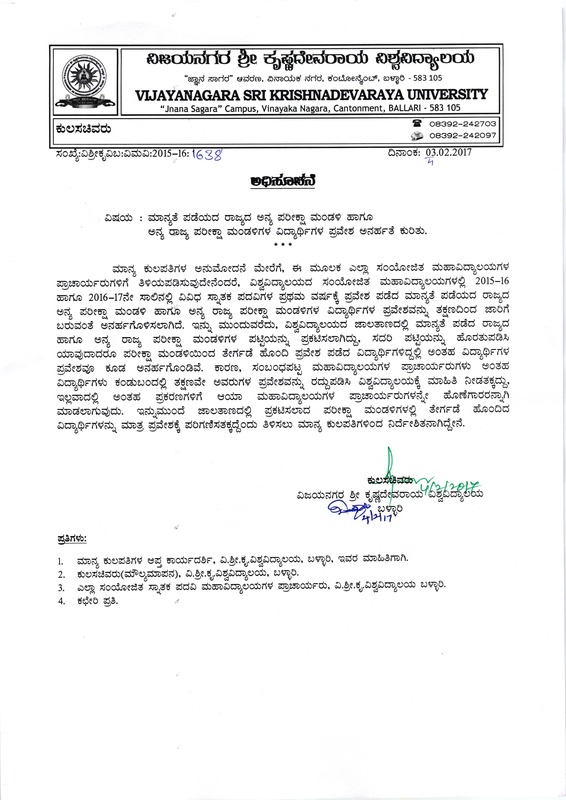 e-procurement process maintains– Maintenance of main campus all department and PG centre (Koppal, Nandihalli, Yelburga) e-tender process (Documents preparation, District Bulletin, Paper Notification, Uploading documentations in e-procurement portal, Technical bid, Financial bid etc.,) done by within a time.